hd00:13Yunnan, China - October 2007: Beach buggy & people walking on a sandy beach in Sanya, Hainan Island, China. Modern hotels are in the background. 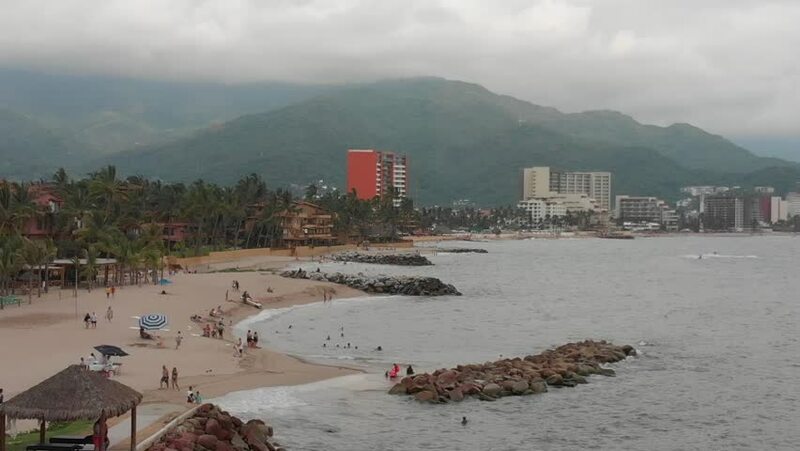 4k00:13Aerial panoramic view of Bahía de Banderas in Puerto Vallarta, México. hd00:29View to the located at the sea side buildings of the Arica city, Chile. 4k00:29RIO DE JANEIRO - CIRCA JUNE 2013: Static shot of an evening view of a Rio de Janeiro coastline with high-rises along a beach. Filmed June 19, 2013.